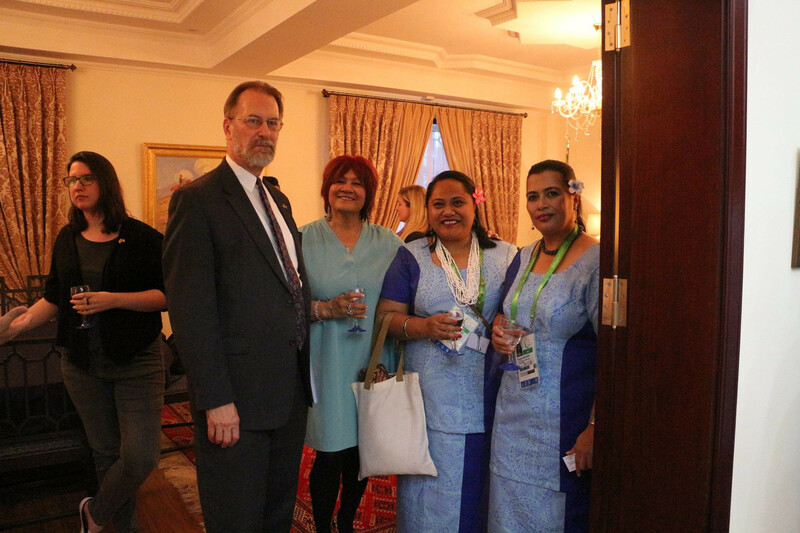 The United States’ ambassador to Turkmenistan has hosted a reception for athletes and delegation members from the American Samoa National Olympic Committee (ASNOC) during the ongoing 2017 Asian Indoor and Martial Arts Games (AIMAG) here in Ashgabat. Allan Mustard and his wife Ann put on what the ASNOC described as a "fun filled night full of laughter, good company, good food, and a cultural sharing of Samoan song and dance". 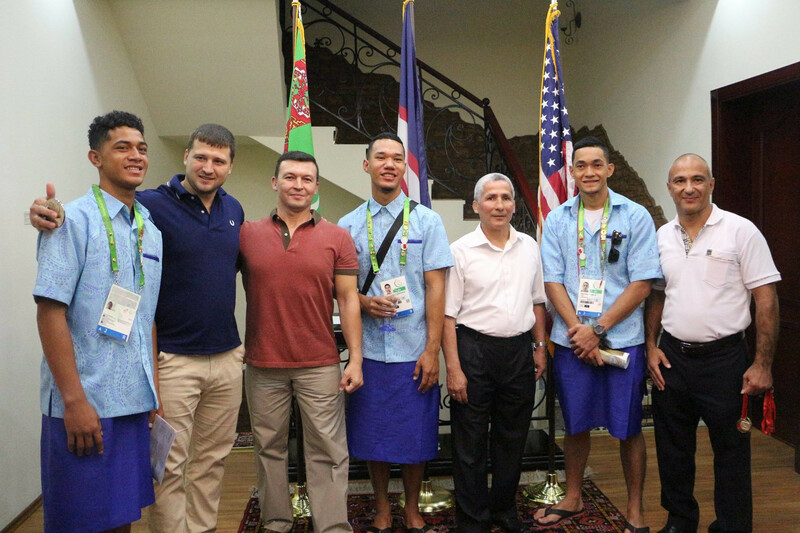 American Samoa athletes got a rare opportunity to talk with former medallists, who were invited to the reception for inspiration and to share their experiences. "It was such an incredible feeling to be in the presence of such movers and shakers in this part of the world who represent the United States of America," a statement on ASNOC’s Facebook page reads. "Thank you so much for your hospitality and kindness and for the opportunity to share a glimpse of our culture with you. "A special thank you to Mrs Teri Steffany and Island Image Creations, who provided Team American Samoa's beautiful uniform for the reception." American Samoa has never competed in the AIMAG until this year. They are represented by seven athletes, all of whom are men. In athletics, Isaac Phillip Junior Silafau failed to get through the heats in the 60 metres. He did manage to reach the long jump final, however, and finished 14th. American Samoa also have six wrestlers in their team. In the freestyle under 74 kilograms category, Seali'Itu Mauga and Pita Junior Fanolua both suffered round-of-16 defeats yesterday at the hands of Afghanistan’s Farhad Malikzada and Tajikistan’s Azamat Sufiev respectively. Nolan Ili Puletasi and Iafeta Peni Vou are both due to compete in the freestyle under 86kg division today, while Zena Noah Iese will contest the freestyle 125kg and Daniel Heleta Misaalefua the freestyle under 70kg.